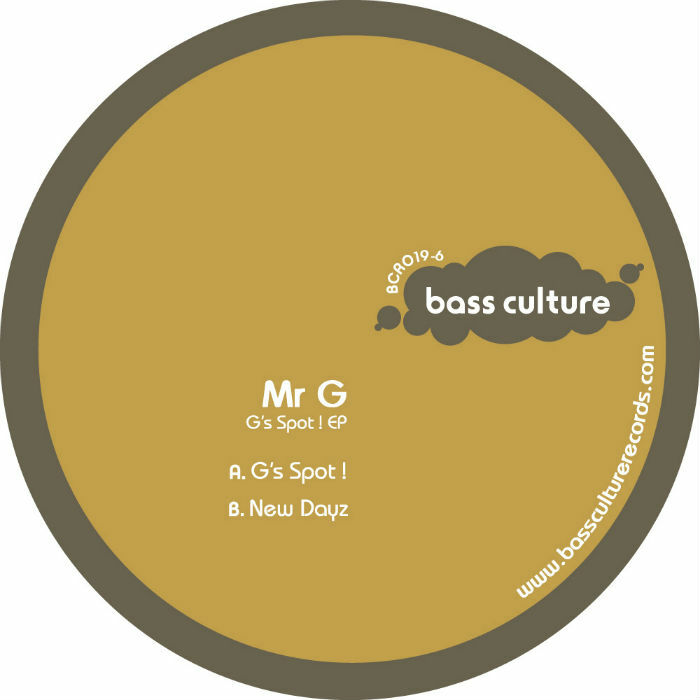 UK producer and Bass Culture regular, Mr. G makes a welcome return to the label with his latest three track bonanza, “G’s Spot!” EP. With last year’s “Extended Pain” EP still causing damage, Mr. G tweaks and teases our senses once again as he electrifies with both sides of the vinyl release. The ‘vinyl only‘ title track, “G’s Spot!” sees him stamp his authority from the get-go. It’s big-room reach is unquestionable as it builds from its opening bongo’s and hi-hats into an intense number, driven by its demanding horn stabs. Having ramped things up from the off, on the flip “New Days” brings us back down, if only for a moment. Like an alter-ego to our A Side, “New Dayz” opens with piercing bongo’s. Its soothing synth laps like the tide as it builds to crescendo and then soothed by it’s bassline. Keeping with the warm summer vibes and treating us once again, G also presents a most welcome digital exclusive cut, “Got That Swing.” Smile-inducing and hip-possessing, driven by its kick-drun, groovin’ baseline and diva vocal, “Got That Swing” is the perfect end to a most complete EP. This entry was posted on August 17, 2011 at 07:23 and is filed under Release.